Elim and St. Paul's Lutheran Churches - Join Us For Worship and Special Events! Join Us For Worship and Special Events! 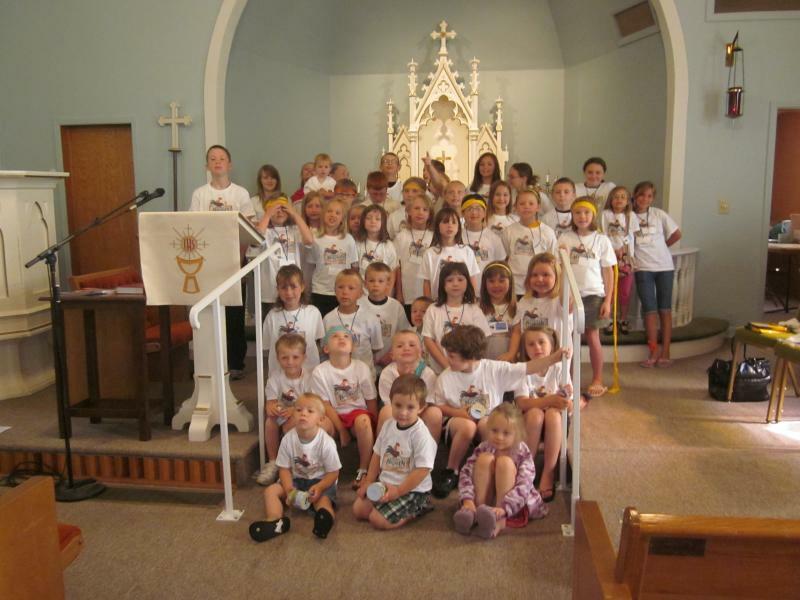 More than 40 children attended Vacation Bible School at Elim Lutheran Church—Hooper from June 20-24. The theme of the week was “Hometown Nazareth: Where Jesus Was a Kid." The children learned Bible stories, sang songs, completed crafts, visited the hometown marketplace, and enjoyed games. Throughout the week, the children brought coin offerings for Peace Lutheran Church in Joplin, Missouri, which was destroyed by a tornado this summer. The children donated a total of $159.45 to Peace Lutheran, money which will be used to help purchase supplies for their one-day VBS this summer. Shown at right are the students wearing their VBS t –shirts on the final day of VBS. Churches sponsoring the Bible school were St. Paul’s Lutheran—Hooper, Elim Lutheran--Swaburg, First Congregational/United Church of Christ—Uehling, St. Paul’s Lutheran—Uehling, and St. John’s Lutheran—County Line. Thanks to all of the volunteers who made this year’s Vacation Bible School a faith-filled, wonderful experience for all who attended.